Amy Winehouse fans can see the late singer come back to life after her family gave its blessing to be a technological reincarnation. Slain rapper Tupac Shakur came back from the grave to ‘perform’ at the Coachella music festival in California earlier this year. Other tragic stars’ relatives, including the family of Michael Jackson and George Harrison, have ruled out bringing their loved ones back to the stage, but Mitch Winehouse is open to a hologram concert by his daughter. He tells Britain’s The Sun, “The most important thing to Amy was the music and I’m sure a lot of people would like to hear her sing again. The dress the late British soul singer Amy Winehouse is seen wearing on her blockbuster “Back to Black” album was sold at auction for $68,000, E! News said. The Disaya-designed frock was purchased by the Museo de la Moda in Santiago, Chile. Winehouse died of accidental alcohol poisoning during the summer. She was 27. “Lioness: Hidden Treasures,” a collection of previously unreleased Winehouse recordings, is set for release on Dec. 6. 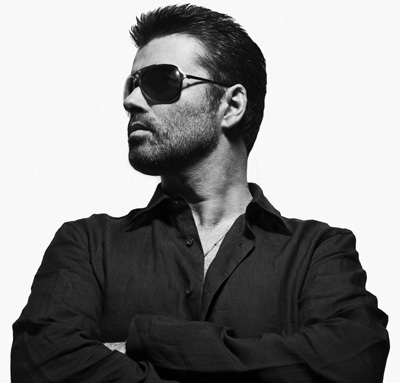 George Michael has canceled the remaining leg of his European tour due to sickness. The “Faith” star was hospitalized in Vienna and was advised to cancel the remaining dates of his tour. “George was recently forced to postponed tour dates in Vienna and Strasbourg, [France] under doctor’s orders after being diagnosed with pneumonia. He is currently receiving treatment,” said the message on his website. Michael was in the midst of his Symphonicatour, which had 14 remaining dates. He has told fans to hang on to their tickets and await news of rescheduling. On Symphonica, Michael performs songs from his catalog with a full orchestra backing him. He has also thrown in a few contemporary covers for good measure, including hits byNew Order, the Police, Rihanna and Amy Winehouse. Singer Amy Winehouse was more than five times the legal drink-drive limit when she died, an inquest heard today. A verdict of death by misadventure has been recorded at the inquest into the death of the star,after a coroner heard how Winehouse hit the bottle after being dry for three weeks and was poisoned by alcohol. The star, as famous for her battle with drink and drugs as for her singing ability, was found in bed in her Camden flat, in north London, on July 23. The Back to Black hitmaker had 416mg of alcohol per 100ml of blood. The driving limit is 80mg. The question mark over the death of Amy Winehouse just grew in size because it’s been revealed there were no illegal substances found in the singer’s system. family they said results indicate that alcohol was present, but it cannot be determined as yet if it played a role in her death. 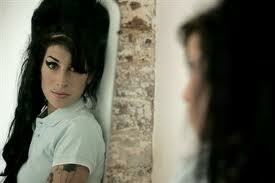 Winehouse famously struggled with drink and drugs although according to dad Mitch she’d quit drugs three years before. Mitch had previously told The Sun newspaper that Doctors had advised her to gradually reduce the alcohol intake but she went cold turkey instead. The family reportedly said that the withdrawal was a lethal shock to her tiny body. Once officials have got the new results they are expected to make a final ruling. To celebrate the life and music of Amy Winehouse, the “2011 MTV Video Music Awards” will pay special tribute to the late British songstress with music legend, Tony Bennett. Winehouse and her hero, Bennett, recently recorded the duet, “Body and Soul,” for his upcoming Duets II album, out September 20th. Marking his first appearance on the VMA stage since 1993, Mr. Bennett, who won one Album of the Year, at the 1995 Grammy Awards for the CD “MTV Unplugged: Tony Bennett,” will introduce the tribute, which includes unveiling footage from their recording session together. “Body and Soul” was Winehouse’s final session and took place this past March at Abbey Road Studios in London. The single and video will be released by Columbia Records September 14th, Amy’s Birthday, in support of the Amy Winehouse Foundation established by the late singer’s family to help a number of charities connected with children and young people. “It was a thrill to record with Amy Winehouse and when you listen to the recording of “Body and Soul,” it is a testament to her artistic genius and her brilliance as one of the most honest musicians I have ever known,” said Mr. Bennett. 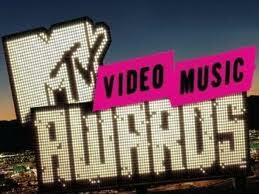 2011 VMA performers include Lady Gaga, Adele, Bruno Mars, Lil Wayne, Chris Brown, Pitbull and Young The Giant. Jonah Hill, Rick Ross, Seth Rogen, Selena Gomez, Kim Kardashian, Odd Future, Nicki Minaj, Taylor Lautner, Drake, Joe Jonas, Jared Leto, and JB Smoove from HBO’s “Curb Your Enthusiasm are confirmed to present. Additionally, Jessie J was just announced as VMA house artist. The “2011 MTV Video Music Awards” will air live from Nokia Theater L.A. Live in Los Angeles on Sunday, August 28, 2011 at 9PM (Live ET/Tape delayed PT). What About Celebrity Rehab and Recovery? The recent death of Amy Winehouse has shown us that the celebrity life isn’t always glitz and glamour but, instead, may be plagued with problems of its own. As cost is always a factor in obtaining any type of medical treatment, it’s commonly thought that drug and alcohol rehab is available to only for celebrities and the wealthy. Fortunately, that’s not true: effective, affordable drug rehab is available at Mountainside Drug Rehab and Alcohol Treatment Center. Mountainside Drug Rehab and Alcohol Treatment Center is a modern drug rehab facility that is skilled in serving a variety of clients with various addictions and in varying stages of addiction. Their caring, compassionate team is made up of licensed and certified counselors as well as social workers who have extensive experience and specialty in the addiction treatment field. In addition, their staff includes a Nurse Practitioner, as well as a Registered Nurse, both of whom also have specializations and experience within the fields of addiction treatment and alcohol rehab. Lady Gaga to Portray Amy Winehouse? Is there an Amy Winehouse biopic already in the works? This is Hollywood…what do you think? Film executives are reportedly making plans to fast track a movie about the Rehab singers life and according to the UK’s Daily Star, Lady Gaga could be the one bearing the infamous black bee-hive on the big screen. While we know Gaga is capable of walking in some pretty peculiar shoes, we have yet to hear from the Starstruck singer herself as to whether or not she’s up for it. Disco Heaven or Bad Romance?